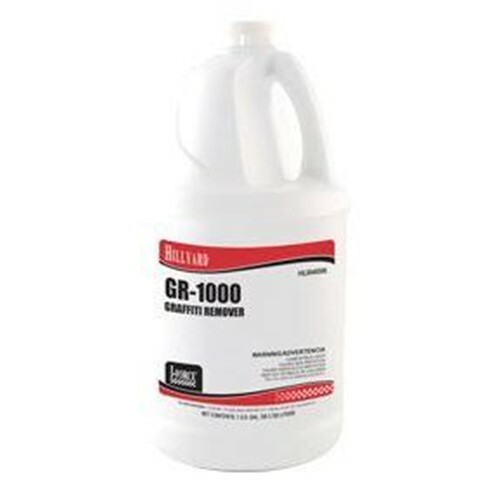 GR-1000 Graffiti Remover is designed to remove paint, crayon, marker, pencil, pen, lipstick, paint pens, marking paint and most any form of graffiti from large surfaces such as bridge abutments, portable toilets, street signs, walls, and sidewalks. Concentrated formula with a wide range of dilutions. Pleasant fragrance. Works on multiple surfaces. Concentrated formula with a wide range of dilutions.